Sherrie Cronin is a LibraryThing Author, an author who lists their personal library on LibraryThing. 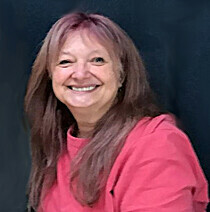 See Sherrie Cronin's author page. About meI'm an avid reader and former short story writer who has turned to writing novels. I've just finished my sixth one. I love speculative fiction, travel, mystery and philosophy and have tried to weave all of these into the collections of tales I tell. I'm also a newly retired geophysicist, a gardener, and a hotline volunteer. I share life with my retired teacher husband. About my libraryMy library is now a combination of the science fiction and fantasy I devoured as a girl, the crime novels and comedy I turned to for relaxation as a busy mother, and the books I have used to research my own novels over the last few years.